Here is everything that Sweeney said about CWH in the letter. 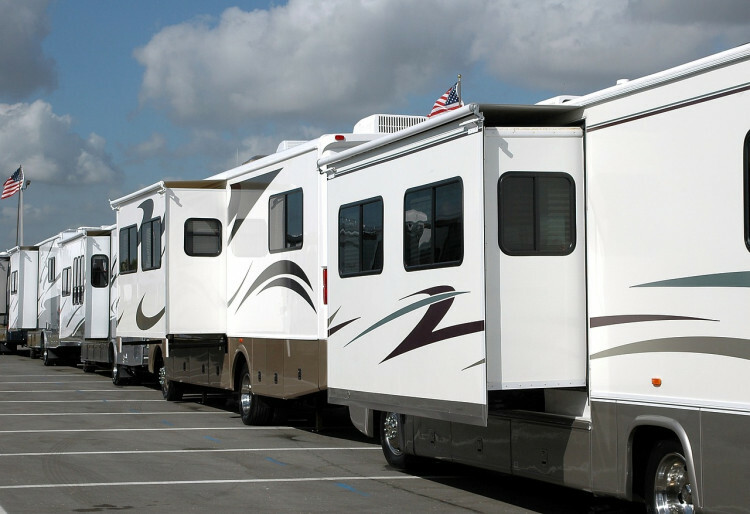 Camping World is the largest RV dealership in the country. Unlike most of our investments, CWH is cyclical. It also has very high returns on capital, an excellent management team, and a compelling valuation, which justify inclusion in the portfolio, despite the cyclicality. CWH was a growth crowd darling following its IPO a little more than a year and a half ago, with shares more than doubling. However, as is often the case, at the first sign of a few bumps in the road the growth crowd panicked and headed for the exits, causing shares to fall back toward their IPO price, at which point human psychology encourages even more selling as investors try to get out with any profit at all, regardless of price. This is the point at which we made our purchases. The position is sized appropriately given its cyclicality, and I gained comfort on the valuation after considering historical comps. Warren Buffett purchased RV OEM Forest River and auto dealership Van Tuyl Group at more expensive prices than we paid, and Eddie Lampert first purchased shares of AutoNation (AN) at more expensive prices than we paid. In all cases, these purchases were made at a time when these businesses were near the top of their cycles, yet Buffett and Lampert have done very well. Additionally, I think that CWH has prospects for a brighter future, and may even be a better business than these comps. Perhaps more importantly, demographic and technological changes have likely made this business less cyclical than it has been in the past. Most importantly, the company’s CEO is Marcus Lemonis, who you may be familiar with through his television show, “The Profit.” I admit to initially being turned off by Lemonis and his high profile persona. However, after doing significant research, I came to realize that Lemonis is someone I want working for us, as his background and track record of success are highly unusual. To reduce it to a soundbite, by the time Lemonis was in his mid 20s, he was making close to $1M a year as a regional manager for AutoNation. However, he quit, and took a job as the CEO of a struggling RV dealership for less than $100k in salary. At the time, his stock in the RV dealership was worth around $80k. Fast forward to today, and Lemonis is a billionaire that pays himself $0 salary, with a track record of successfully growing his business through industry downturns. To be clear, if we enter a recessionary environment tomorrow, this business will suffer. However, Lemonis has been through it before, and he runs the business with one eye always on the next recession. I am certain that while CWH will suffer during a downturn, the competition will suffer significantly more, and CWH will exit the downturn much stronger than it is today. Our patient capital base allows us to take advantage of situations such as these. I had originally intended to present CWH at the Value X Vail conference, but I was told I was too late. An anonymous fund manager who goes by @fundiescapital on twitter already planned to pitch. I have known this manager for several years, and am happy to note that he is typically even more skeptical than I am when evaluating businesses, so I think we are in good company. Lincolnshire, Ill.-based Camping World Holdings Inc (NYSE: CWH) offers a range of recreational vehicles for sale, RV and camping gear, RV maintenance and repair. The company has more than 135 retail locations in 36 states and an e-commerce platform. Now take a look at the company’s performance on the share market. CWH is down 54.99% since the beginning of the year. Over the past three months, the stock has dropped 4.07% while it has fallen 41.78% over the past 12-month period. The stock has the consensus average target price of $35.91 and the consensus average recommendation of ‘BUY’, according to analysts polled by FactSet. On Monday, the stock was closed at $20.50. Meanwhile, Camping World Holdings Inc (NYSE: CWH) isn’t a very popular stock among hedge funds covered by Insider Monkey. As of the end of the fourth quarter of 2017, there were 20 funds in our database holding shares of the company.